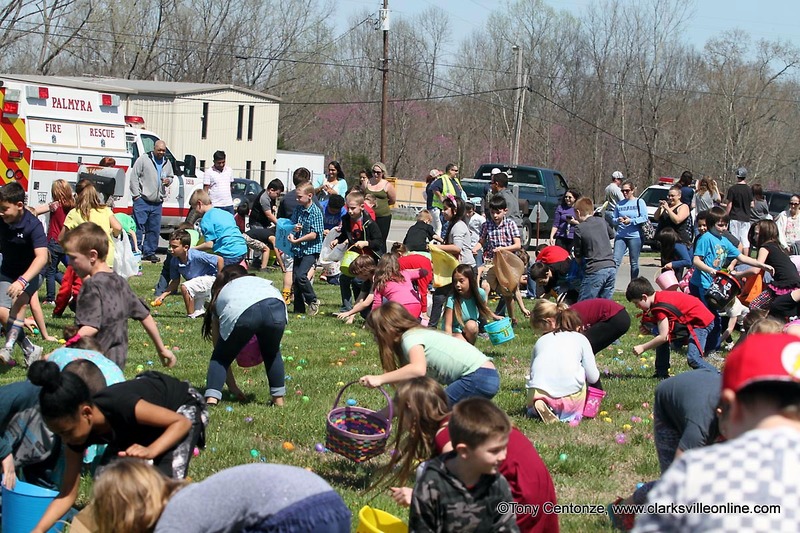 Clarksville, TN – On Saturday, April 20th, 2019, Hilltop Supermarket will hold their 24nd Annual Easter Egg hunt. Festivities will begin at 11:00am with the egg hunt starting at 2:00pm sharp. Hilltop Supermarket annual Easter Egg Hunt. 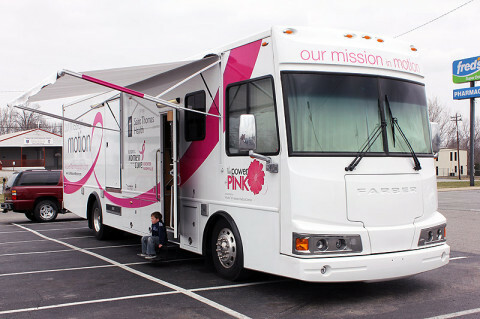 Clarksville, TN – The Saint Thomas Health Our Mission in Motion Mobile Mammography Coach will be at Hilltop Supermarket’s parking lot from 9:00am until 3:00pm this Saturday, January 12th, 2019. The coach provides mammography for women who cannot afford the time away from work for appropriate screenings. It also helps women with no insurance through support from organizations like Susan G. Komen. 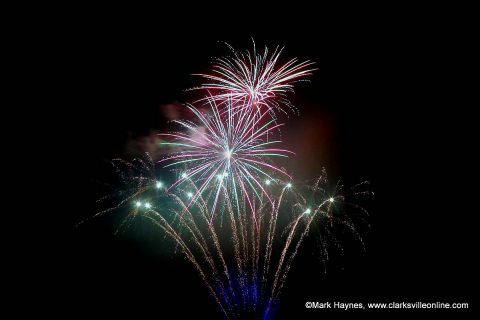 Clarksville, TN – Hilltop Supermarket put on a spectacular Car and Fireworks show for the community Friday night, June 29th, 2018. Hundreds of people came out to see one fantastic fireworks display. The evening began with a car show setup beside the store. The car show consisted of vehicles, both classic and newer. There was even a drag racing funny car on display. 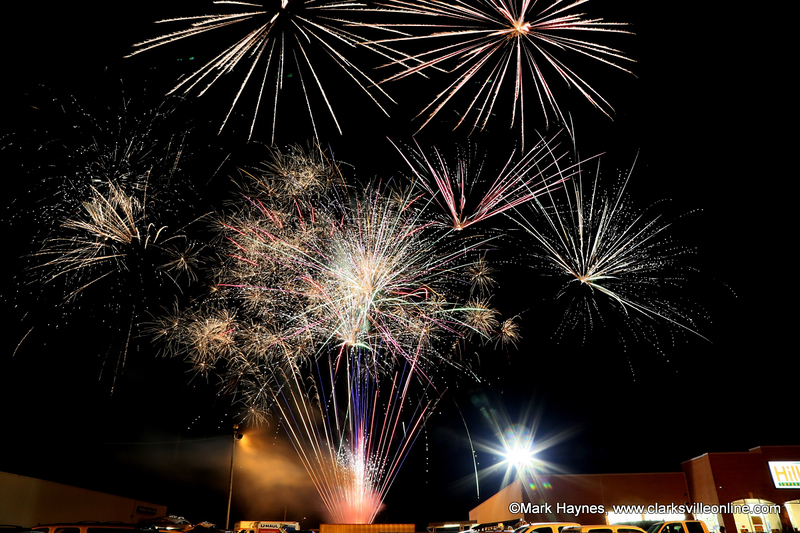 Hilltop Supermarket held their 1st annual Car and Fireworks show Friday night. 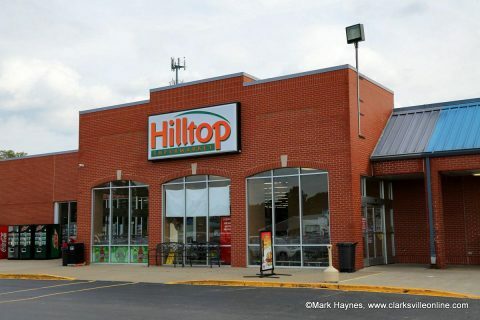 Clarksville, TN – Hilltop Supermarket will hold a Car and Fireworks show on Friday, June 29th, 2018. Come out and enjoy a fun filled day of classic cars, fireworks, food and family fun. There will be plenty of activities for the kids. The car show will start at 4:00pm. Hotdogs, hamburgers, drinks, etc, will be available for purchase. Those attending should bring blankets or lawn chairs for the fireworks show. Car and Fireworks Show to be put on by Hilltop Supermarket this Friday, June 29th. 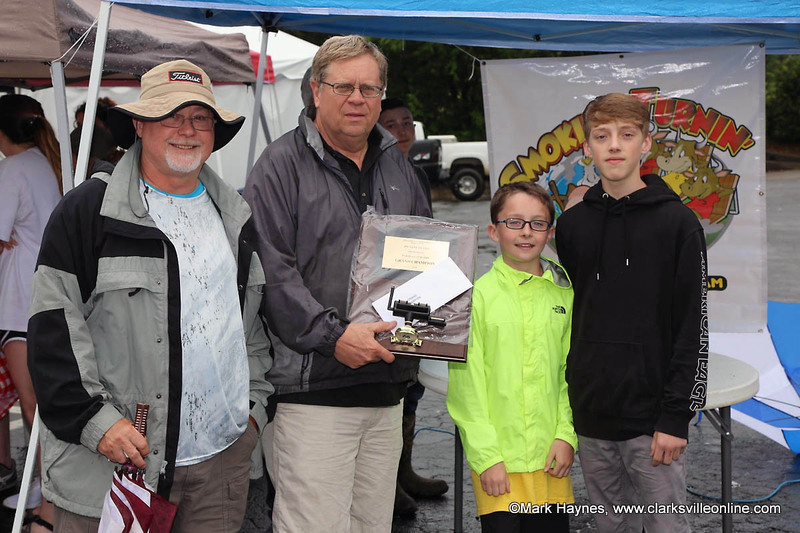 Clarksville, TN – It might have been raining, but spirits were high at Hilltop Supermarket’s 3rd annual Dwayne Byard Memorial BBQ Cook Off. The cook off was held in honor of Dwayne Byard who past away three years ago. Proceeds from the event went towards a scholarship fund for Dwayne’s grandchildren. Seventeen teams competed for trophies and cash prizes. There was BBQ, ribs and more for sale. (L to R) Bubba Burchett and Ricky Thomas with RT-Que won Grand Champion at Hilltop Supermarket’s 3rd annual Dwayne Byard Memorial BBQ Cook Off, Saturday. Clarksville, TN – On Friday night, May 4th, 2018, Hilltop Supermarket held their 1st annual Country Kids Cook-Off. The event is part of the 2018 Dwayne Byard Memorial BBQ Cook-Off. Hundreds of people attended the event despite the overcast skies and chance of rain. The rain held off and it turned into a wonderful night. “This is just an all around good community event right here at Hilltop and always appreciated what they do to bring the community together,” said Montgomery County Sheriff John Fuson. 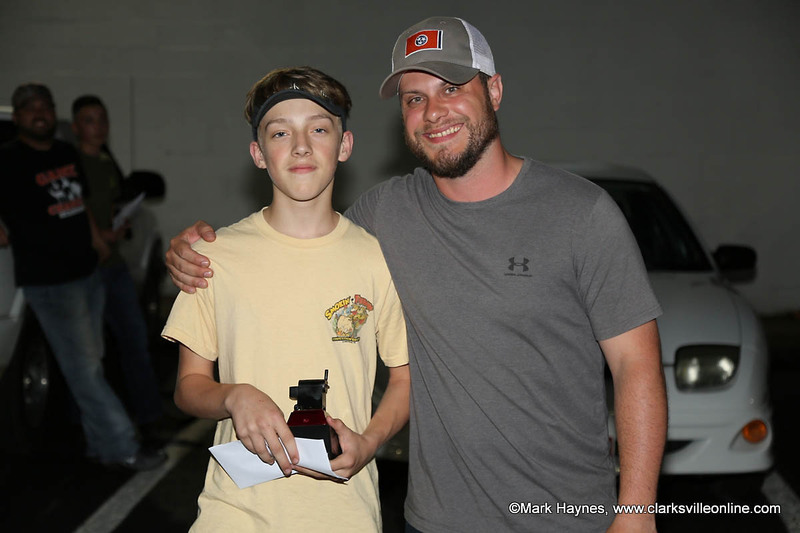 Dylan Byard (left) was the first place winner of Hilltop Supermarket’s 1st annual Country Kids Cook-Off. Cody Jackson (right) gave Byard his trophy and cash prize. 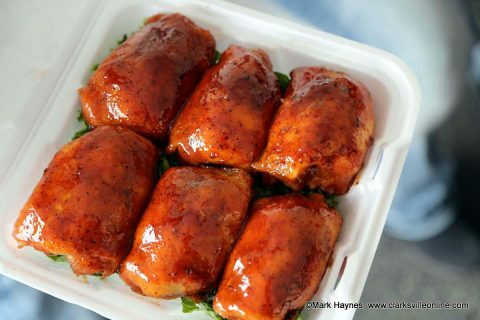 Clarksville, TN – This Friday and Saturday, May 4th and 5th, 2018, Hilltop Supermarket will hold the 3rd annual Dwayne Byard Memorial BBQ Cook Off and Car Show. This event is being held in honor of Dwayne Byard who past away in 2015. Friday night is the Kids Cook-Off, a car show and live music. The BBQ Cook Off will be on Saturday. 3nd annual Dwayne Byard Memorial BBQ Cook Off and Car Show to be held at Hilltop Supermarket this Friday and Saturday, May 4th and 5th. Clarksville, TN – On Saturday, September 9th, 2017, the Saint Thomas Health Our Mission in Motion Mobile Mammography Coach will be at Hilltop Supermarket’s parking lot from 9:00am until 3:00pm.